As a first time participant of the event, I was drawn to the the visual splendor of the bizarre festivities and whilst intermixing with the people, music and mayhem of Strugis, I photographed what we encountered as the crew wondered through the town. 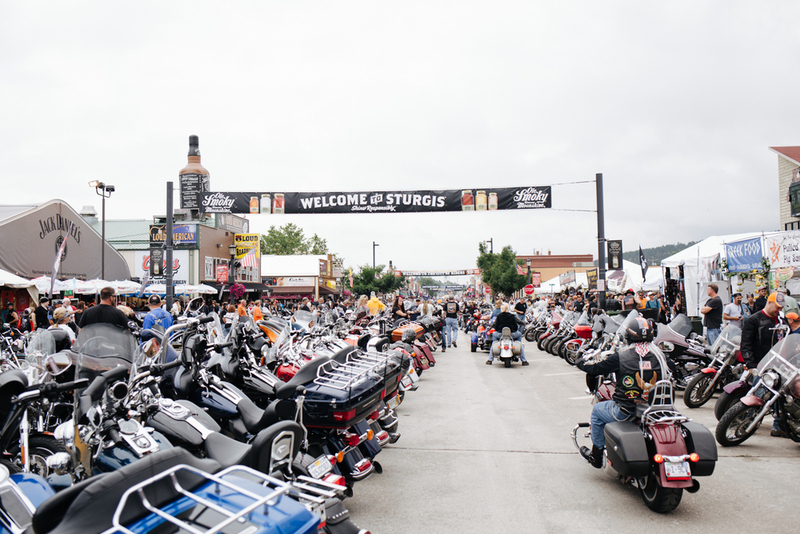 It’s hard to describe the spectacle of Sturgis; it's a combination of Mad Max, Woodstock and Thelma and Louise rolled into one. Whilst your hearing is rendered useless with the constant sound of music and exhausts, what your eyes take in will make up for any hearing loss. As you walk down the strip, you eye the many lines of bikes parked on display and encounter a halloween like array of outfits with the only connecting theme for all things two wheels. From flamethrowers to mechanical bulls. Blow-up dolls to blow-up pools. The endless selection of stickers and patches, the facial hair, tent covered front lawns, sun-burned faces, scantly clad bartenders, past their prime ladies with fox tails, body paint or bearing for all to see; Sturgis packs a punch that leaves a taste of smoke and bourbon in your mouth. The gathering isn't for all and is very much a love or hate reaction. However, the common goal shared by all during that first week in August is for the love of riding and all that encompasses that lifestyle. 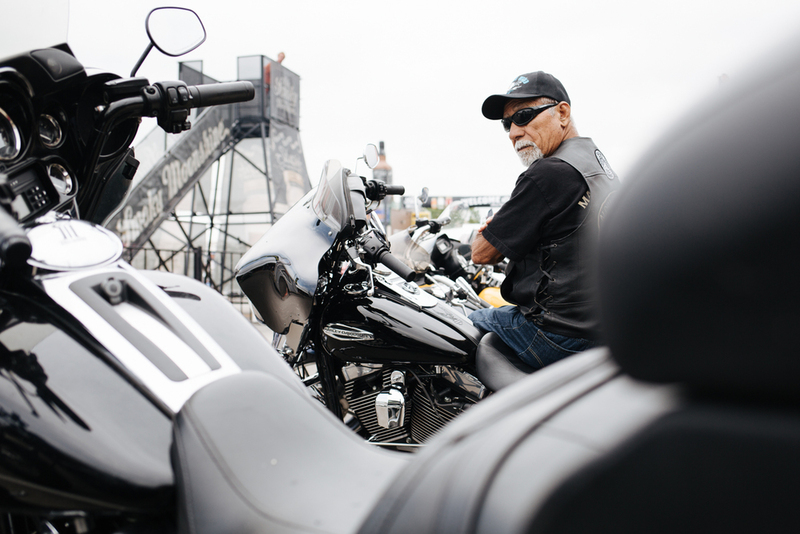 To see more, check out the Sturgis Teaser from the film Driven By Bacon.